Earlier this week, Apple said it sold 74.5 million iPhones in the last three months of 2014 and on Thursday Samsung said it sold 95 million phones. That means Samsung remains the world’s biggest mobile phone maker, but its numbers include both smartphones and feature phones. Samsung doesn’t break out its smartphone shipments, but Strategy Analytics said Friday that it estimates Samsung shipped 74.5 million smartphones in the quarter—leading to a tie in the smartphone market. Another industry analytics firm, IDC, said it estimates Samsung shipped 75.1 million smartphones, giving it a slim lead over Apple. Whatever Samsung’s exact shipments, the surge Apple enjoyed underlines the popularity of the iPhone 6 that was also reflected in the company’s huge profits of $18 billion in the quarter. Over the last year, Apple’s share of the smartphone market rose from 17 percent to 20 percent, according to IDC. 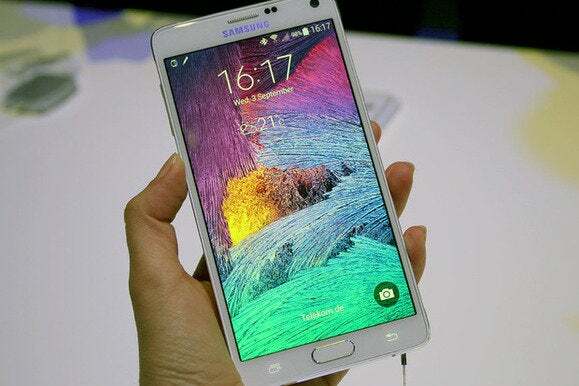 Over the same period, Samsung’s share slid from 29 percent to 20 percent. Samsung’s share is dropping in part because of competition from Apple at the high-end of the market, but a more serious concern is competition in the larger low- and mid-range markets from Xiaomi, Huawei and ZTE. The three Chinese makers are improving their offerings, delivering better-quality handsets at competitive prices, and consumers are buying them. Illustrating the effect of that competition, which is particularly strong in China: Samsung’s operating profit in its mobile division sank 64 percent in the quarter, it said on Thursday. In response, it plans to streamline its various families of mobile phones. Both companies remain well ahead of third-placed Lenovo, which was helped by its acquisition of Motorola’s smartphone business. Lenovo had a 24.7 million smartphones—a third that of Apple and Samsung—according to the estimates. Huawei was ranked fourth and Xiaomi ranked in fifth place.